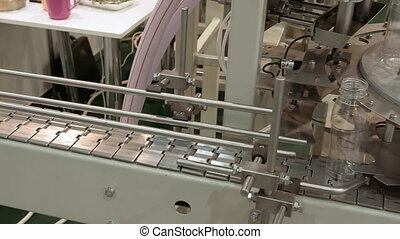 Bottling and sealing conveyor line at winery factory. 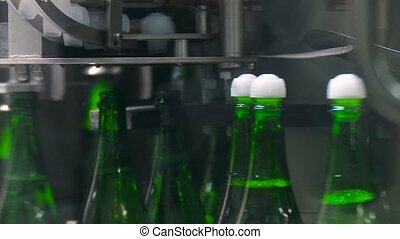 Sealing of champagne with a stopper at a factory of sparkling wines. 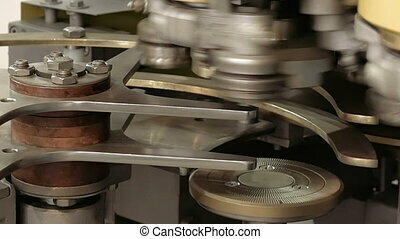 Conveyor in the factory of champagne. 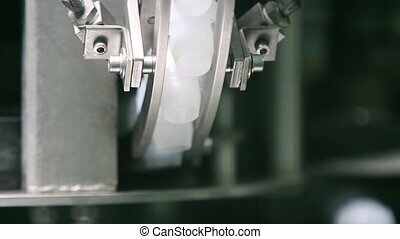 Bottles move behind the glass of the machine. 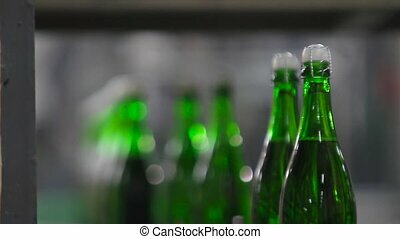 Sparkling champagne foams in a bottle. 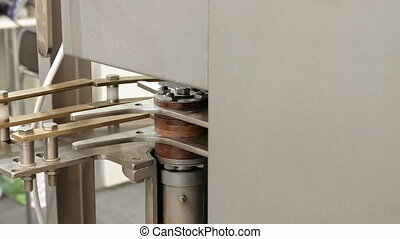 Sealing of champagne with a stopper at a factory of sparkling wines. 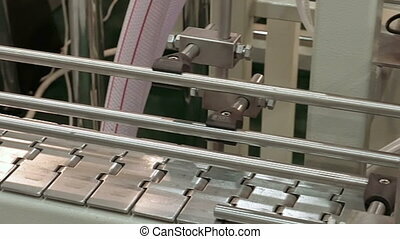 Conveyor in the factory of champagne. Bottle of champagne at factory. 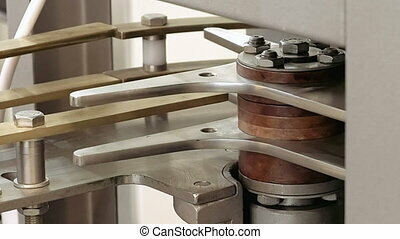 Ambient sound at clip. 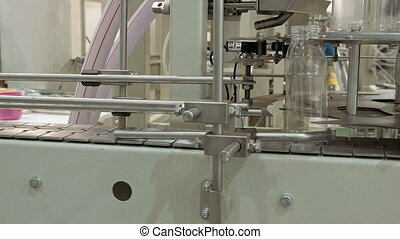 Bottling and sealing mechanical machine equipment with rotating parts. 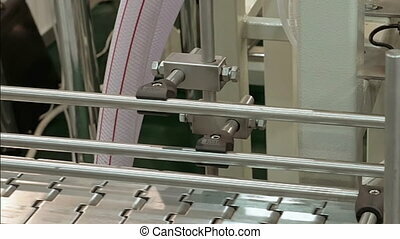 Automated robotic line at factory or plant. 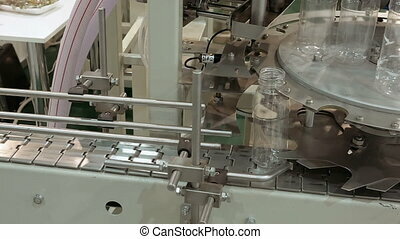 Bottling conveyor product line for pouring beverages into plastic bottles. 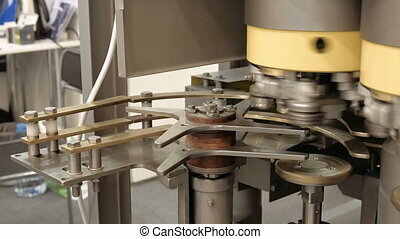 Robotics and automatic lines instead of human labor on factories and plants. 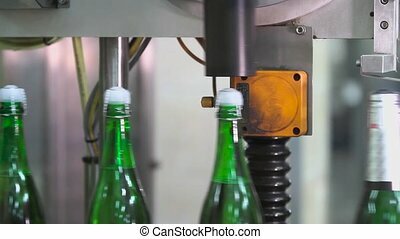 Sealing of champagne with a stopper at a factory of sparkling wines.Wrapping aluminum foil bottle neck with champagne. 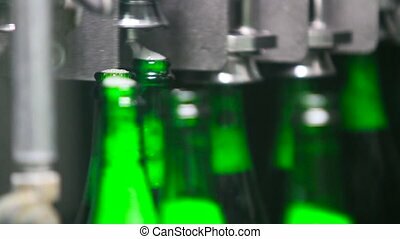 Bottles with champagne are moving along the conveyor belt. Ambient sound at clip. 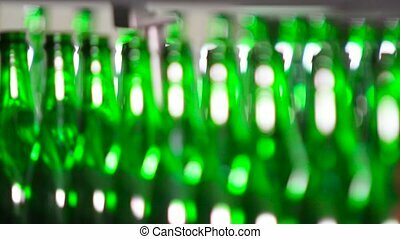 Bottles of green color move along the conveyor at a factory of champagne wines, close-up. Champagne Manufactory.